Basic Image Retouching–it’s fast and easy! Most people are not happy with photographs of themselves. When we see a photograph of ourselves, we immediately focus on that small pimple that to us looks like the Swiss Alps or we see wrinkles that we think age us 30 years. Photographers have to contend with this type of thing on a daily basis. Their customers and even professional models often ask (or demand :), “Can you remove this?” or “Can you fix this?” Well, in most cases the answer is yes! We work with a lot of photographers and studios that request that we remove imperfections in picture of fashion models, wedding pictures, school pictures and other family pictures. Photographers send us pictures that require complex image retouching or, in the case of a school photographer, a large volume of images. 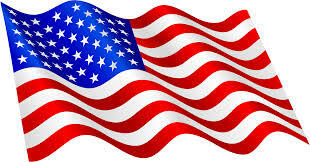 In either case, we can handle these types of orders quickly and expertly. In some cases, however, you may want to try to retouch an image yourself, rather than pay a company like ours to do so for you. Luckily, with Adobe Photoshop handling basic image retouching it is, in many cases, quick and easy to get very good results on your own. 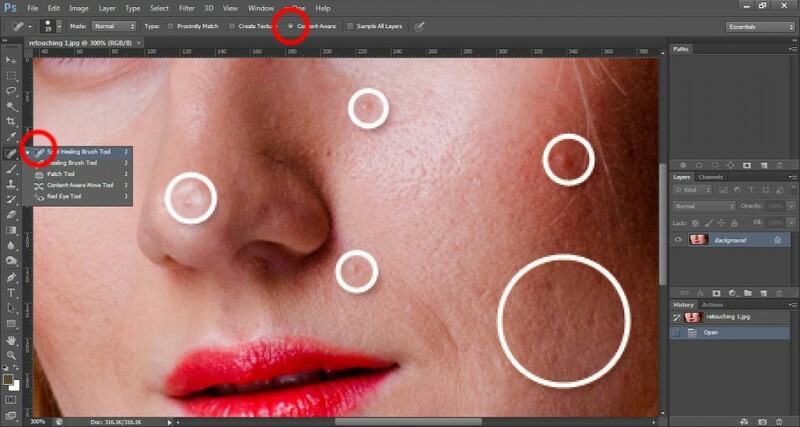 One of our favorite t ools for basic retouching is Photoshop’s Spot Healing Brush tool, using the content-aware setting. Using this tool may take some practice to get your desired result, but it will not take too much time to become proficient using it. First, select the “Spot Healing Brush Tool” , which is a button in the toolbox on the left side of your screen. Next, make sure in the options bar at the top of your screen the “Content-Aware” setting is selected. Now select the size of your healing brush. Not only can you remove unwanted items from an image with the Spot Healing Brush tool, but you can also repair images. Let’s say you have an old grey scale (black and white) image that has been worn in parts or has some holes in parts of the image. Simply click on the area you want to fill in and drag the brush over the entire area. When you let go of the brush tool, Photoshop will blend the surrounding areas in your image to fill in that missing area. Like I said, it’s like you are in image retouching heaven with this tool. For some, image retouching is just not there thing. Or you may have an image that requires complex image retouching or you may have a lot of images that require image retouching. In either case, we would be happy to provide you with a quote for retouching your images. We handle image retouching for a lot of companies and are able to achieve fantastic results!